Sony X900A series is a backpack of multiple performance, potray's the best image quality by making it look so real, it's like you are not watching but experiencing. Panasonic supports one of the best bargain buys. Panasonic provides higher pixel density that really gives perfect results. Enterprise theater experience in home with the latest Samsung 78-inch 4K SUHD JS8600 Smart TV. The engrossed 78-inch curve screen tarps you with action. Have your favorite content run seamlessly with Smart TV. Samsung KS9500 a very gorgeous TV and not surprising that Samsung wanted to focus on brightness. 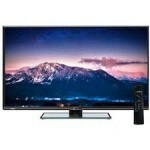 Toshiba 55L5400 is a55-inch LED Full HD TV manufactured by Toshiba. The TV has 1920 x 1080 Pixels Resolution and Wi-Fi and Internet Connectivity. Toshiba 23PU200 is a 23-inch LED Full HD TV manufactured by Toshiba. The TV has 1920 x 1080 Pixels Resolution and 4 Kg Weight. Moreover Toshiba 23PU200 has 1 USB and 2 HDMI Ports. Micro max 42C0050UHD is a 42-inch LED 4K TV manufactured by Micro max. The TV has 3840 x 2160 Pixels Resolution and with Internet and Wi-Fi Connectivity. Moreover the TV has 3 USB and 3 HDMI Ports. 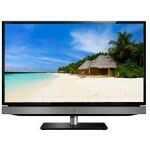 Micro max 32T2820HD is a 32-inch LED HD-Ready TV manufactured by Micro max. The TV has 1366 x 768 Pixels Resolution and 5 KG weight. Moreover Micro max 32T2820HD has 1 USB and 1 HDMI Port. Micro max 42C00G0UHD is a 42-inch LED 4K TV manufactured by Micro max. The TV has 3840 x 2160 Pixels Resolution and 13.7 Kg Weight. Moreover Micro max 42C00G0UHD 3 USB and 3 HDMI Ports. The TV also has Internet and Wi-Fi Connectivity.